Our team (four high school students and two leaders) is now settling into our hotel in Antigua after spending 12 days serving with Students International in El Gorrion and Magdalena. As one would have expected, the trip has flown by. During our time in Magdalena we have learned many lessons and had the opportunity to experience a new culture. We all lived with host families in Magdalena, eating meals, laughing, trying to communicate, and simply ‘being’ with them. This experience was a source of great joy and discovery for our team. We were all overwhelmed by the sense of family and community that was present within our homes. This strong sense of family and community is something that we will all miss and want to try and integrate into our lives back in Nova Scotia. Inter-Varsity’s High School team was part of a larger group serving with Students International in Guatemala this past month. Our team has also come away with the conviction to ‘serve more’. Some members on our team recognize that one thing they will miss about Guatemala is the opportunity to really serve and care for others. 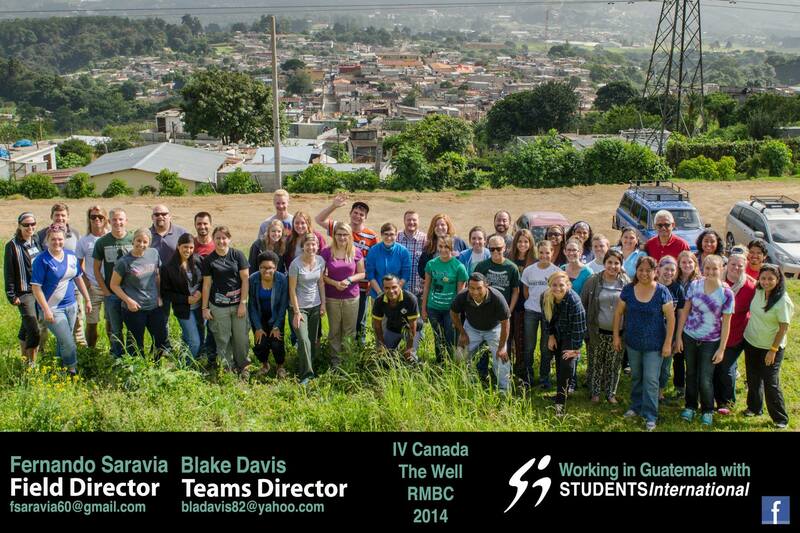 We could really see how our actions here in Guatemala directing influenced others for the better. Our desire is to continue to demonstrate servitude and positively influence others back home. During our last three days in Guatemala we want to remember all the great and positive things that God has shown us during time here. We want the memories and lessons learned here to not fade but instead change us for the better. Our hope is to take the positive things from Guatemala and bring them with us to Canada, so that we may figure out how our experiences can fit into our ‘normal’ routines. We want to move forward in action, and not let this experience simply be a collection of pictures and souvenirs. Please continue to pray for our team as we are all tired. Pray that God would really open our hearts so that all the lessons that we have learned would be deeply rooted in us. Our challenge now is to discover how to integrate these two worlds together in preparation for our return. We are excited and hopeful for the next few days here in Antigua, Guatemala. This entry was posted in MISSIONS by Lynda MacGibbon. Bookmark the permalink.